Melissa is a registered dietitian nutritionist practicing in the Seacoast area since 2001. She works with children, adolescents and adults who have a wide range of nutrition related interests and concerns. 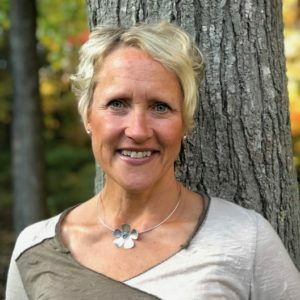 Her compassionate and supportive approach combined with her experience in merging specific foods and supplements when indicated within the fabric of behavior and lifestyle habits, enables her clients to make significantly positive changes to their lives. Melissa’s expertise in food, nutrition and digestion allows her the privilege to work with a variety of physical and emotional health concerns. In addition, her evolving appreciation and respect for the complexities of the eating experience is inspired by her patient’s stories. These complexities and experiences often define people’s relationships with one another, with food and with society. During the counseling process you will explore with Melissa your goals and concerns as they relate to your health and digestive history, food preferences, eating and exercise habits. Melissa’s training, unique sensitivity to the issues that concern her patients and understanding of these issues helps her to support her clients who struggle with disordered eating during their recovery. Melissa pursues continuing education in integrative and functional medicine, digestive health, disordered eating, sports nutrition, food allergies, and weight management. She holds a Bachelor of Science degree from the University of New Hampshire and completed her clinical dietetic internship at Mount Auburn Hospital, a Harvard Medical School Teaching Hospital in Cambridge, MA. Initial appointment is 60-90 minute long. Please bring your insurance card and a check/cash for your co-payment. Bring in any supplements you are taking and a list of medications you are on. If you are comfortable in starting a food journal, please record time, food taken, estimated amounts and any digestive or other symptoms you are experiencing.